Landmark Pentecostal Church is inviting children to have one last hurrah before they return to school. The church's annual Summer Blast will take place from 10 a.m. to 4 p.m. Sunday, Aug. 26, at 469 S.W. Grove Road. In its 15th year, the free event will feature a variety of games and activities along with lunch. "It's fun for all ages," said Jesse GoDair, Sunday School Teacher at Landmark Pentecostal Church. "There are things for the whole family." Typically, the festivities begin with songs and skits inside the church. Organizers have planned a radio theme this year, and activities will have a "live broadcast atmosphere," GoDair said. 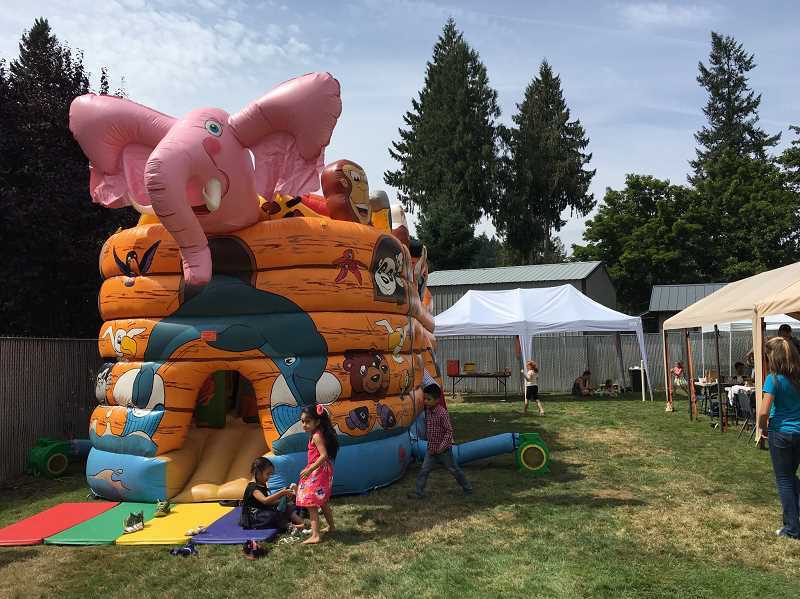 Next, the fun will move outside, where there will be a bounce house, dunk tank, obstacle course, carnival games and balloon animals. Free food including hot dogs, funnel cakes, cotton candy and snow cones will be available. Attendees can also participate in an eating contest, where they must consume a series of mystery ingredients. "There are so many different things we do," GoDair said. "It generates a lot of laughs." He added that the excitement is open to everyone, and not just those who attend the church. "Our church sponsors it every year to get to know the community. We like to be involved in the community," he said. "We really drive it for our young kids to have one last big fun day, and a culmination of summer." GoDair encouraged families to stop by at any point during the day. "No matter what time you get there, there's always something different for families to be engaged in," he said. What: Landmark Pentecostal Church's Summer Blast. When: 10 a.m. to 4 p.m. Sunday, Aug. 26. Where: 469 S.W. Grove Road.